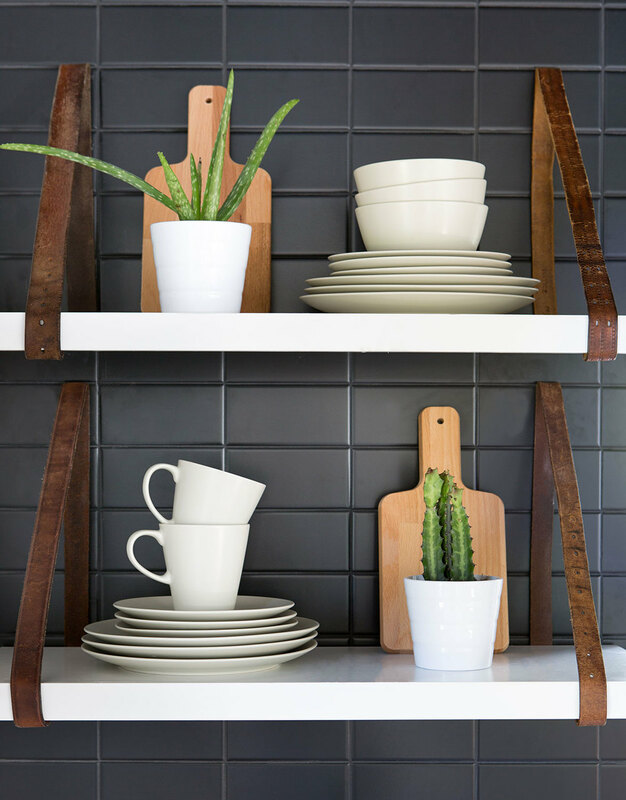 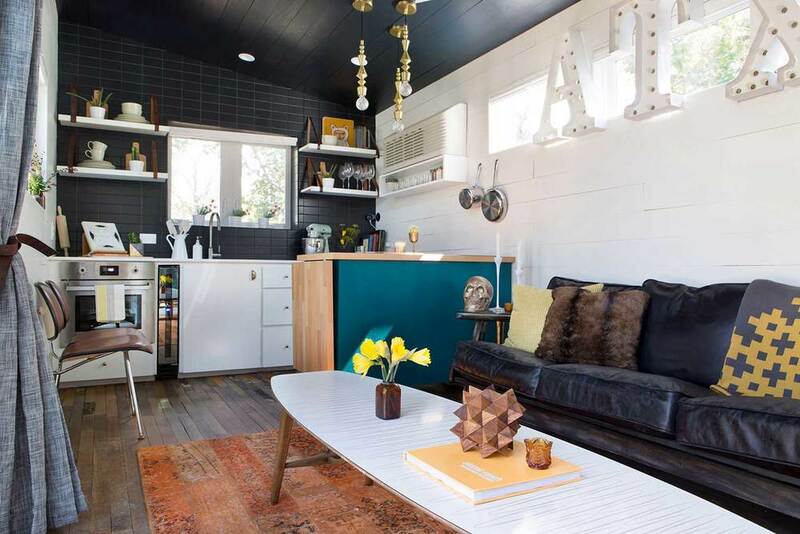 KIM LEWIS DESIGNS | Tiny House "Mid-Century Marfa" KIM LEWIS DESIGNS | Tiny House "Mid-Century Marfa"
Mid-Century meets Marfa style. 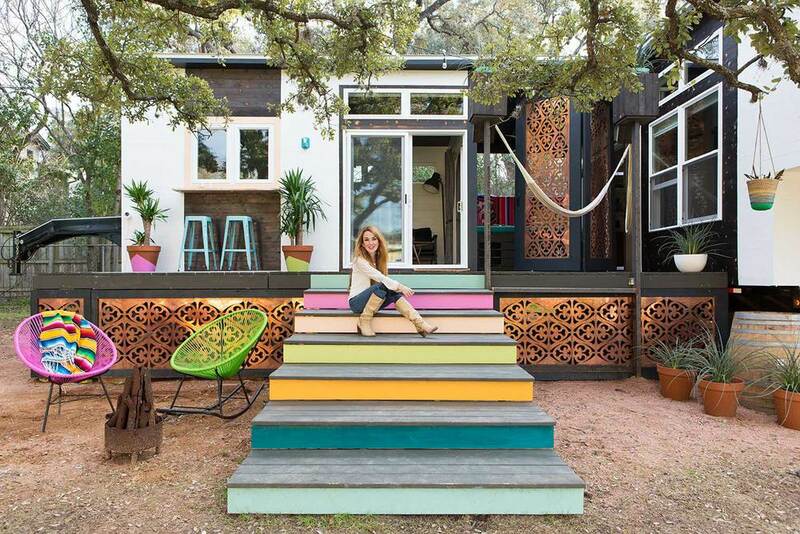 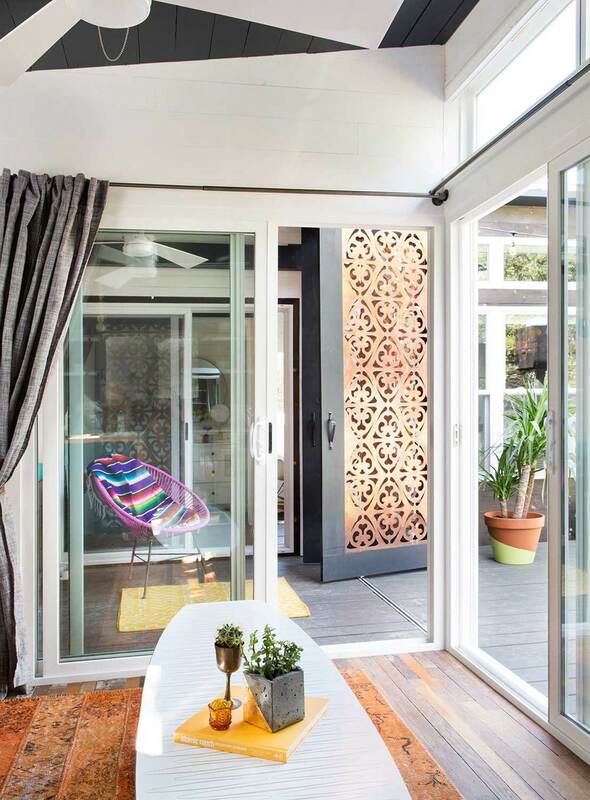 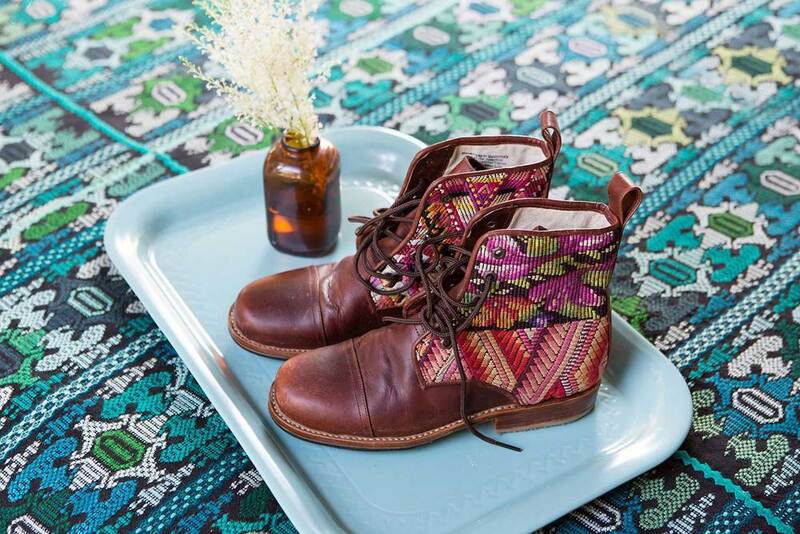 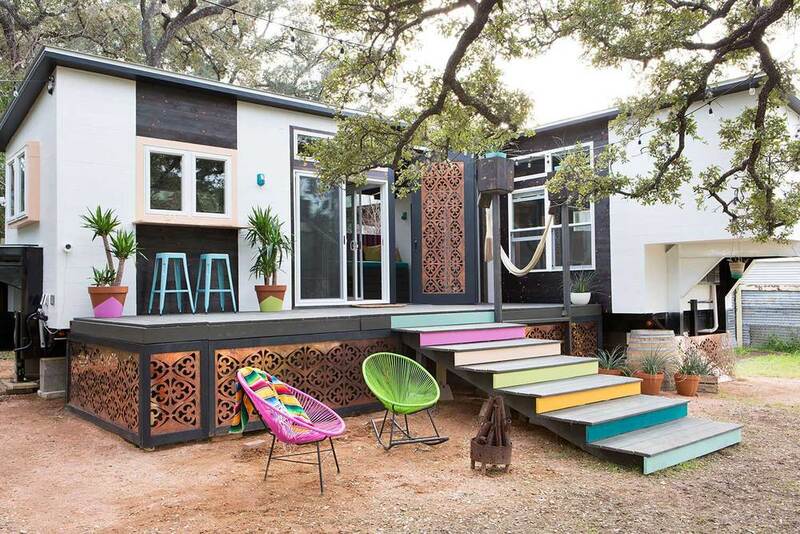 Small, but mighty this 380sf home packs a colorful punch. 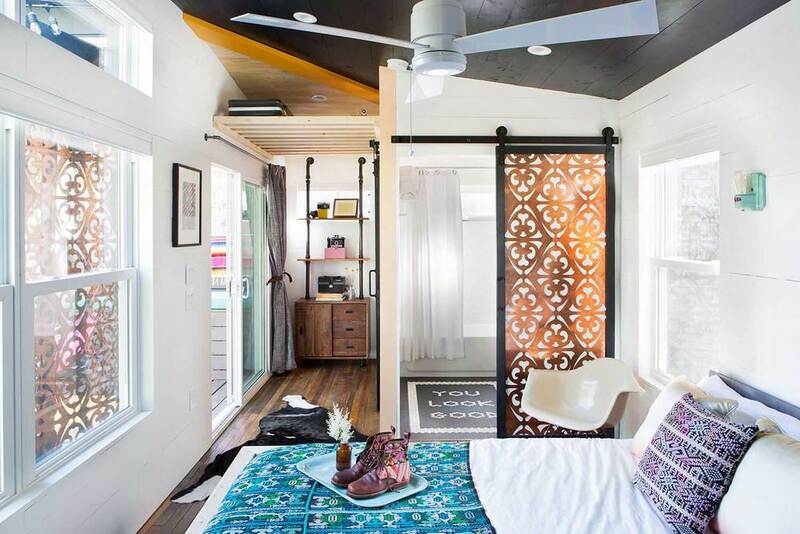 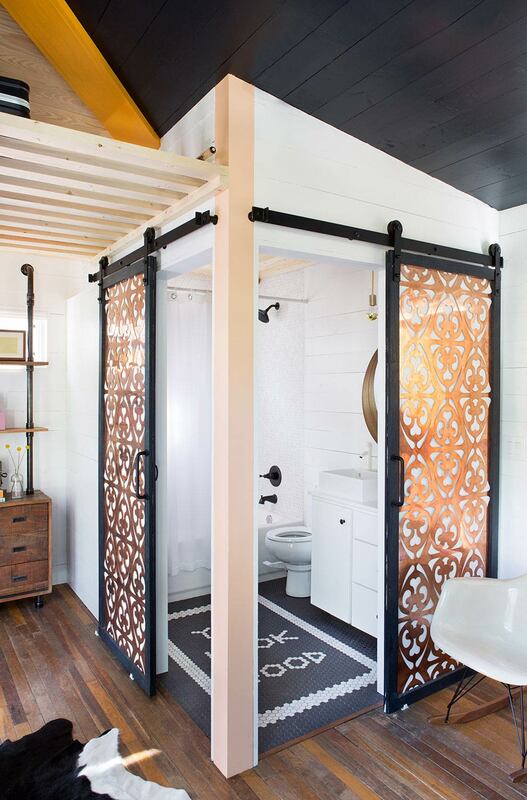 Built on two gooseneck trailers, the home features built-in hammocks, a removable deck, screened-in porch using Parasoleil copper panels and a custom kitchen island.